There are many beautiful gardens belonging to Old Rectories, Old Vicarages, Old Parsonages, Abbeys and Priories which are open to the public on certain days this spring, summer and autumn. This is organised by the NGS in order to raise money for a variety of charities. If you are keen to know which gardens are open near you, and when, please log yourself in as a Member: go to the Members Tab and select Log In, put in your Username and Password (if you have forgotten it do get in touch with ali@everington.net). 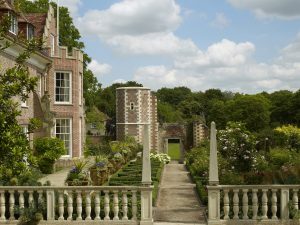 Once you have successfully logged in, select, from the Members tab the Rectory Gardens to Visit link to view the list of gardens which are open to be visited. For information on events, activities and lectures, and provide better information, research and services linked to rectories.